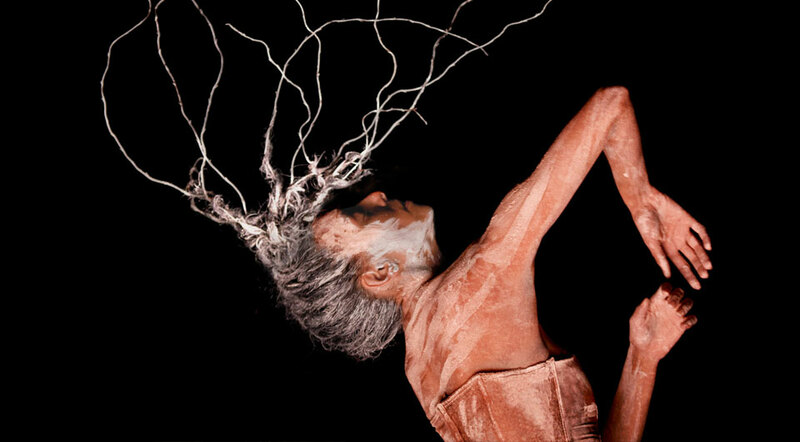 If there was a single word to describe Bangarra’s latest production, and Frances Rings’ first full length commissioned work, it would have to be strength. Rings’ previous work (including her 2010 work Artefact) has been noted for a sense of defined femininity that exudes warmth and a deep connection to the land.Terrain, while certainly retaining those elements, refuses to comply with expectations. This is a story told with passion and with pride. At the nexus of this 65 minute narrative is Lake Eyre, Kati Thanda. Divided into nine segments this is a distinctive collection of episodes, visual and aural offerings that create a strong sense of place. Rings’ programme notes tell us that ‘between drought and deluge Kati Thanda sustains a living history of the Arabunna people … whose living evidence of occupation traces back thousands of years’. Watching Terrain and the cyclic patterns representing the brilliant intensity of the salt, the sweeping curves of the river systems, the aridity of a landscape – yet still at all times teeming with life. SHIELDS performed by the men’s ensemble was one of the stand out works of the night and showcased not onlyRings’ ability in creating a distinctively masculine work that eloquently spoke of the ongoing struggle for Land Rights but also the continued emphasis that all Bangarra’s work places on story and narrative. SALT was also a favourite and the spirit duet performed by Daniel Riley McKinley and Kaine Sultan-Babji was a series of sharp, embodied movements that were well executed. Deborah Brown’s solo in REFLECT was also a highly memorable performance as was her duet with Leonard Mickelo. The final work DELUGE was a fitting end with its shiny sequined black costumes and ‘club’ music and a fitting reminder that Bangarra is a company that honours traditional stories yet is courageous enough to share this wisdom in a contemporary world. David Page’s soundscape is particularly evocative. A mixture of geological sounds are juxtaposed with string instruments, the rumblings of the land and the deliberate and well placed use of language create an effect that is best described as a witnessing to a natural cycle always in motion long before we knew it existed or could even articulate the mysteries of its rhythms. This is also perhaps one of Jacob Nash’s most simple yet finely sculpted set designs. The use of natural patterns, markings, layers and colours created a response to landscape that was rich with layered meaning. Rings‘ choreography is evolving and with the support of Stephen Page and Bangarra we can look forward to watching one of Australia’s leading choreographers etch her aesthetic into the landscape of contemporary performing arts.